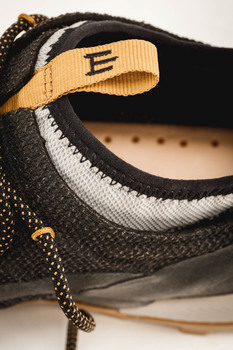 A one-piece kevlar upper in which a wool sock hides: technology and protection outside vs. nature and comfort inside. The sock is semi-detached from the upper in order to help moisture wicking. Nylon cables integrated in the upper in a sandwich indestructible construction. 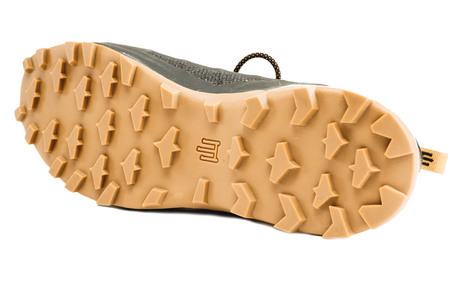 Natural rubber outsole patterned for wild terrains. Natural leather and coconut fiber insole. 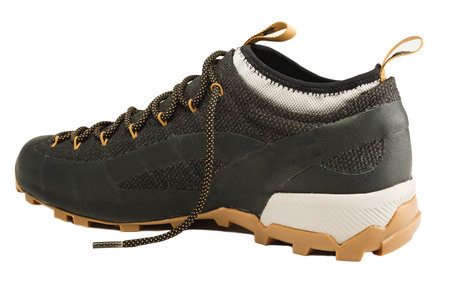 This is a very interesting idea – a comfortable and functional shoe with an integrated merino sock liner inside. We love the use of natural materials and super clean design. A great combination of highly technical and natural materials, such as the merino wool liner and natural rubber outsole.